JSN ImageShow is a flash image gallery that you can put it in your Joomla powered website. JSN ImageShow suports JPG, PNG and GIF image formats and you can put your image in any order you want. If you want to share images from Flick or Picassa, you can connect JSN ImageShow to your pictures. 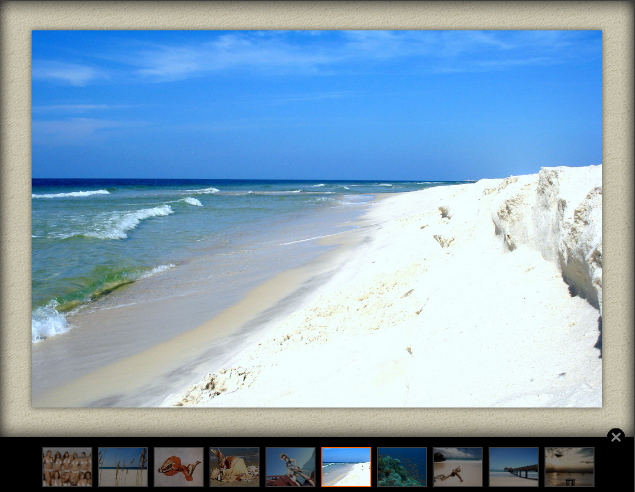 Also you can configure the width and height of your slideshow. You can specify the width and height in pixels and also in percentage. If you want to put a background to your slideshow, you can choose one of your own or you can choose one from the numerous predefined images. You can also add captions: text font, color, alignment, background color, opacity, positions. After you finished setting up caption, choose from numerous effects, image motion, zooming and 3D image transition effects. If you are afraid that somebody will steal/borrow your photos, you can add watermarks. You can do this by putting an image as an overlay above slideshow images and configuring it’s position and opacity. JSN ImageShow is available in 3 versions: Free, Pro and Developer. For the free versions there are a few restrictions: maximum showcase/showlist amount is only 3 and maximum images per showlist amount is also 3. If you want more you will have to buy the pro version which costs $39.